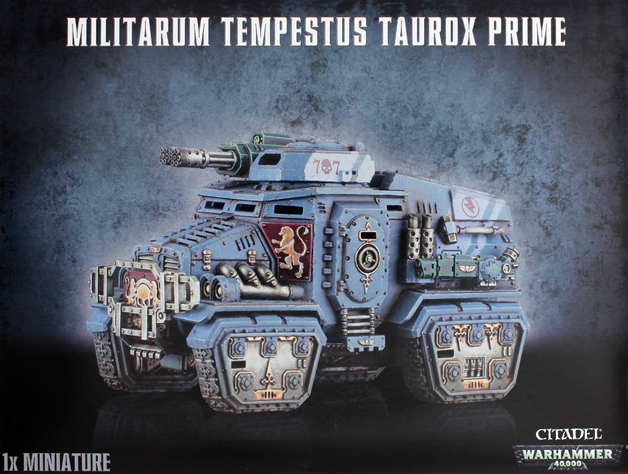 The Taurox is a versatile & robust infantry fighting vehicle used by the forces of the Astra Militarum and the up-gunned Taurox Prime is utilised by the Militarum Tempestus to support its elite forces on the battlefield. 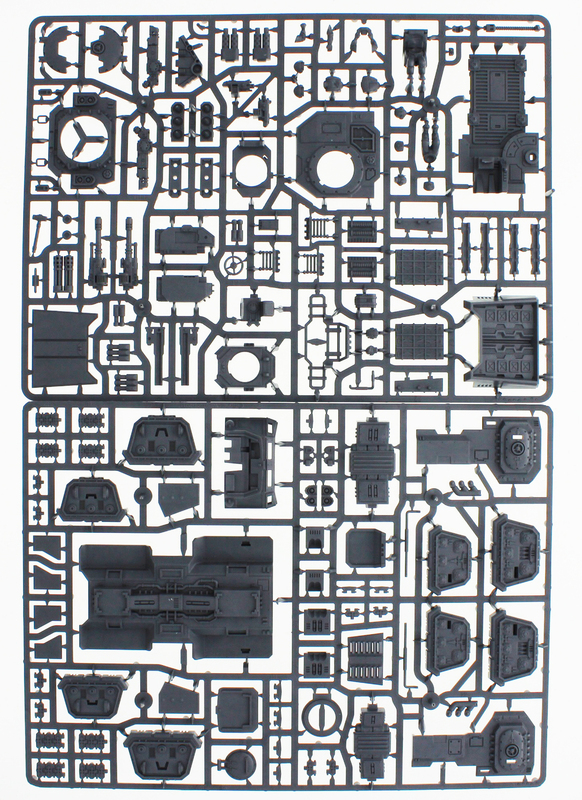 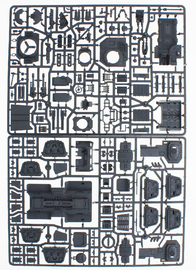 This multi-part plastic kit can be assembled to make either a Taurox Prime or a Taurox. 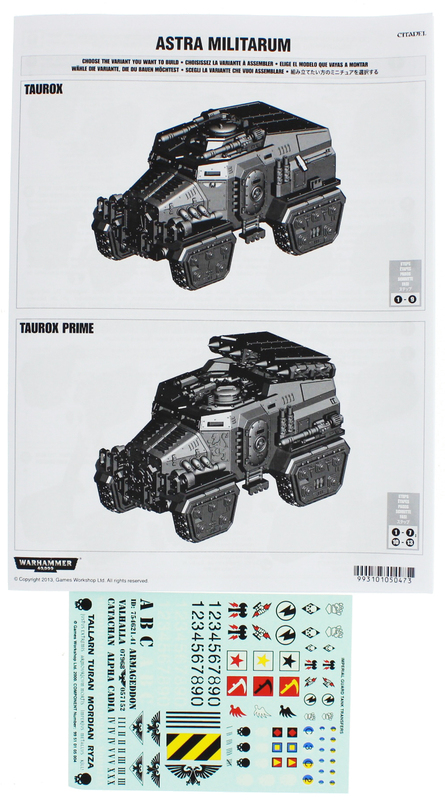 The heavily armed Taurox Prime can be built with either a battle cannon or twin-linked Taurox gatling cannon turret. The turret can also be replaced with a Taurox missile launcher. 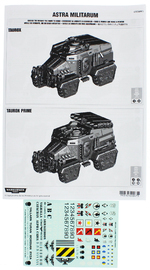 It also has additional fire points and you can choose between side-mounted autocannons or hot-shot volley guns. 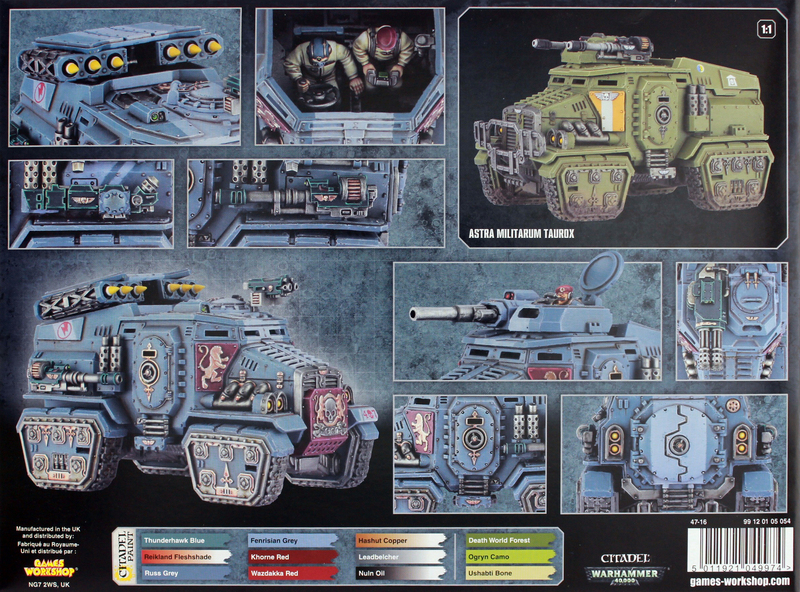 The Taurox can be built with either side or turret mounted twin-linked autocannons and can be equipped with a pintle mounted storm bolter.